Posted on June 29, 2012 at 10:34 pm by Mary. The area around the kitchen sink can become a constant headache without a real routine that keeps dishes and glasses under control. Making sure that the dishwasher is started after dinner and emptied every night is a freeing way to begin each day. Avoid letting dishes pile up on the counter or in the sink because you don’t want to take time to put them in the dishwasher. It only takes seconds to put a glass or a dish in the right slot. Turn the dishwasher on as soon as it is full. 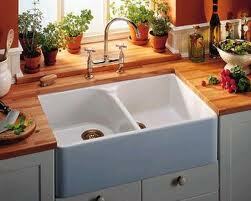 In a large family that might mean twice a day but it will be worth it if order is kept around the sink. If you have limited time to empty the dishwasher and put things away, share the responsibility with members of the family that are capable of helping. Set a schedule that will work for each one and remind them that at times flexibility may be needed to help one another out. Soaking pans may be needed once in awhile but remember that a good soak doesn’t usually take more than a few hours. Letting them hang out on the counter or in the sink for days is a real clutter problem that needs to be avoided if meals are going to be put out in a timely way. If you have little ones and glasses are an issue you might try using colored plastic cups for each child so they are not constantly needing a new glass. Some people use the paper dispensers in the kitchen for sanitation reasons and to avoid the clutter of glasses in the sink. What are your favorite strategies for keeping clutter at bay around the kitchen sink? Please share your ideas with a comment below. Next time, look for ideas for keeping the clutter off the kitchen table.